A 20% deposit is required to reserve your space. A second payment of 30% is due 4 months prior to the first land day of the trip and a final 50% payment is due 2 months prior to the first land day of the trip. Payment is accepted as follows: 1) U.S. Dollar check made payable to Treks 2 Rwanda, 253 Duke Street, Saint Paul, MN 55102 or 2) by wire transfer to our account in Saint Paul, MN or 3) by credit card as processed by our office in Saint Paul, MN. The price quoted is based on current park entry and concession fees. If these fees should go up, the total cost of the itinerary will go up accordingly. The above-noted accommodations will be immediately booked and confirmed upon receipt of payment and/or a signed contract. In the unlikely circumstance that, by the time T2R tries to confirm and book, the rooms are no longer available, T2R will allow the traveler(s) to give input on the selection of alternate locations. The total price may be adjusted as a result. Traveler is advised to review the websites of the above-noted accommodations and/or to search for and read online reviews. While we do our best to recommend and accurately describe the best accommodation choices for your situation, T2R cannot be held liable when the traveler’s expectations differ from the actual accommodation. Should a traveler arrive at an accommodation and find something unacceptable, T2R will assist with the identification of a new location, but the costs will be billed to the traveler’s account. If the accommodation has a defect that the traveler believes warrants a refund, T2R will aggressively pursue a refund on traveler’s behalf. Prices quoted do not include costs of obtaining visas and passports, telephone calls, laundry, entertainment arrangements not shown in the itinerary, beverages unless specified, or any other items of a personal nature. If after this contract has been completed the traveler wishes to change the itinerary, Treks 2 Rwanda will endeavor to accommodate you wherever possible. However should cancellation fees be levied by our suppliers these will be charged to you. After a contract has been signed, any change requested by the client will result in a change fee of $50 per change in addition to any other cost increases (decreases) resulting from the change. Prior to the first day of the safari, Treks 2 Rwanda will waive this change fee for the first change request. Starting on the first day of safari, no complimentary change requests will be allowed. In the event of the traveler(s) canceling their reservation for any reason, traveler(s) will be charged a penalty as outlined below. No cancellations or notifications of reduced numbers booked are accepted by phone. Only written notifications are considered valid. Written notifications include email. No-­shows are considered cancelled at the date of their first expected arrival. There will be no refunds to clients who do not complete an itinerary. The company does not hold itself responsible nor can it be held responsible for any delays prior to departure or, during the course of any tour mentioned whether brought about by technical difficulties, strikes, weather conditions or any other circumstances whatsoever, whether foreseen or unforeseen. It is understood that any expenses relating to these unscheduled extensions, amendments, or curtailments (eg. hotels, meals, airfares, telephone calls, etc) will be for the travelers’ account. We make every effort to ensure that all arrangements and services connected with your tour will be carried out as specified in the most efficient and effective way possible. However, we do not have direct control over the provision of services by suppliers and, whilst they are in all cases selected with the utmost care, we do not accept liability for error and omissions of such suppliers. We do not accept responsibility for any consequences whatsoever from a traveler failing to ensure that he or she has complied with the necessary health, passport and visa requirements. Treks 2 Rwanda (in collaboration with Access 2 Tanzania) recommends that you purchase a travel protection plan to help protect you and your travel investment against the unexpected. Travel protection plans can include coverage for Trip Cancellation, Trip Interruption, Emergency Medical and Emergency Evacuation/Repatriation, Trip Delay, Baggage Delay and more. For more information on the available plans or to enroll, click here or contact Travelex Insurance Services at 800-228-9792 and reference location number 23-0071. 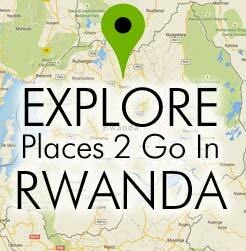 Treks 2 Rwanda (T2R) acts only as an agent for the various independent suppliers that provide hotel accommodations, transportation, sightseeing, activities, or other services connected with its tours. Such services are subject to the terms and conditions of those suppliers. T2R and their respective employees, agents, representatives, and assigns accept no liability whatsoever for any injury, damage, loss, accident, delay, or any other incident which may be caused by the negligence, defect, default of any company or person in performing these services. Responsibility is not accepted for losses, injury, damages or expenses of any kind due to sickness, weather, strikes, hostilities, wars, terrorist acts, acts of nature, local laws or other such causes. All services and accommodations are subject to the laws and regulations of the country in which they are provided. T2R is not responsible for any baggage or personal effects of any individual participating in the tours/trips arranged by T2R. Individual travelers are responsible for purchasing a travel insurance policy, if desired, that can cover some of the expenses associated with the loss of luggage or personal effects. We will honor the current year’s accommodation rates for safaris booked before May 1st for travel in the next calendar year. Example, if booked by May 1, 2019, the 2019 accommodation rates will be honored for travel in 2020. Park and conservation area fees are not subject to this rule as they can change/increase without advance notice.